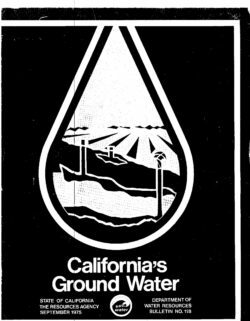 Water has long been a key factor in California's social and economic development. The water has come about equally from groundwater (water stored underground in permeable rock or soil formations) and from surface water. 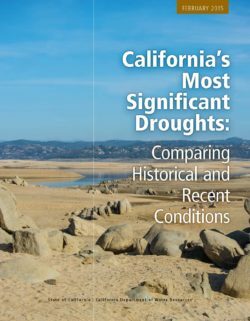 Although many reports describing the statewide surface resource have been published, very few reports have been devoted to a statewide groundwater appraisal. This report provides a summary of the vast amount of information available on individual groundwater basins. 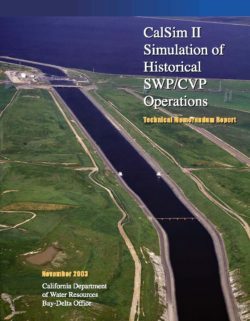 It also describes past, present, and possible future management of the groundwater resource. 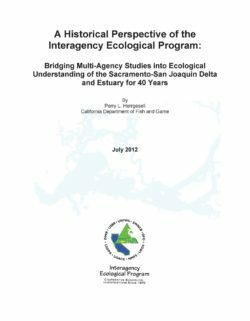 From August 2014 through July 2015, the Delta Narratives project, on contract to the Delta Protection Commission, addressed two questions. 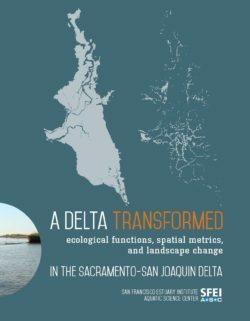 First, in what ways does the historical experience of the Sacramento-San Joaquin Delta contribute to an understanding of key themes in regional and American history? 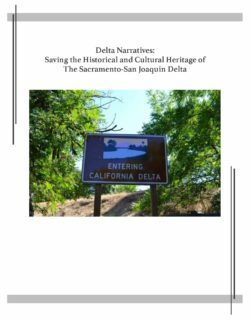 Second, how might Delta stories gain wider appreciation within the region, throughout Northern California, and among people in the rest of California and beyond? Scholars on the project team documented ways the history of the Delta illustrates trends in land management and reclamation, technological shifts in transportation and agriculture, the impact of ethnicity and labor specialization on community building, and finally, the shifting visioning of America's promise and fall from grace by artists and writers in response to the intense cultivation of the Delta and the conditions which workers there endured. Their essays testify to the intrinsic value of Delta stories and to the additional perspectives they bring to regional and national history. 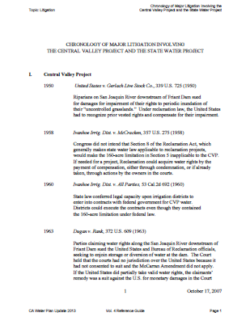 With these essays in hand, the project team investigated the current infrastructure for the preservation and dissemination of historical and cultural information in the Delta. It created a directory of institutions committed to promoting Delta stories. In order to stimulate conversations between these stakeholders, the team organized two workshops at which the scholars and archivists shared insights and invited commentary and conversation. 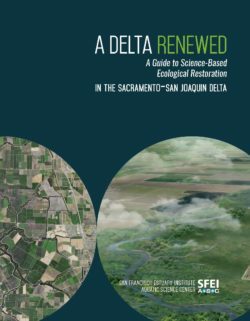 Subsequently, with the support of the Center for California Studies at Sacramento State University, a conference entitled “More than H2O: Saving the History and Culture of the Sacramento-San Joaquin Delta” presented findings and discussed strategies with an audience of state and local stakeholders. Delta Narratives culminated with a conference organized around an American Assembly model. The conference generated a list of suggestions for further action regarding the recognition, preservation, and dissemination of Delta stories. High on the list of initiatives were adequate mapping of historically significant locations, an organization that would draw together the many cultural and historical groups in the Delta toward common action, the initiation of annual Delta Days to celebrate the region, and the creation of educational materials including web applications (apps), and a website devoted to the region. The theme of this Delta Narrative is Building Communities: Economics and Ethnicity. 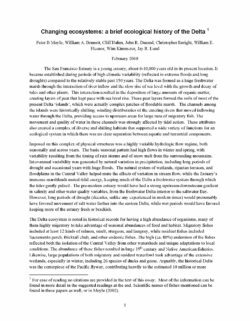 The essay focuses on the primary zone of the Delta, comprising the “Delta proper” towns. When appropriate, cities and towns outside the primary zone are included in the discussion because they are relevant to the topic at hand. The narrative is divided into three sections. The first section focuses on initial settlement in the Delta, starting with the earliest indigenous inhabitants. 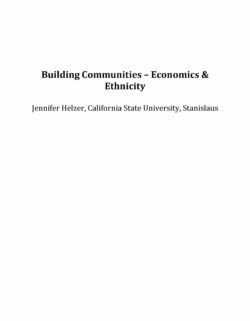 It traces the arrival of subsequent immigrant groups and how communities were built around ethnic bonds and the economic needs of an emerging agricultural region. It also covers the early experience of Delta residents, emphasizing themes of human?environment interaction, emerging settlement patterns, and early community development.